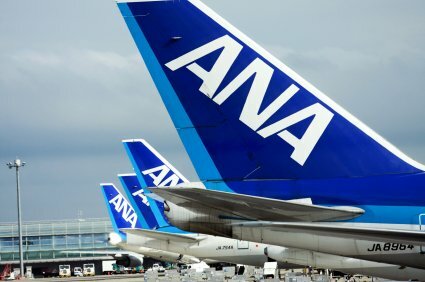 With the number of halal restaurants in Japan and overall demand for halal foods recently increasing, All Nippon Airways (ANA) recently announced the expansion of its in-flight Halal menu options starting July 1st. The term “halal” often refers to Islamic dietary laws, and prohibits Muslims from consuming certain foods and drink, such as pork and alcoholic beverages. According to ANA, in-flight orders for halal options have doubled since 2011, given the rising number of international visitors to Japan, especially those from majority Muslim countries such as Indonesia and Malaysia. Furthermore, ANA will start servicing flights from Tokyo to Kuala Lumpur from September 1st, making this an ideal time for Muslim tourists traveling to Japan. A halal-certified chicken curry (in collaboration with Brahim’s Holdings Berhad, the world’s largest halal in-flight catering company) will be available on First Class flights between Tokyo and Europe and Singapore, as well as Tokyo flights to North America starting July 1st; they will also be added to the Business Class menu on the Tokyo-Jakarta and Tokyo-Kuala Lumpur routes from September 1st. The halal-certified options pictured above will also be available on Tokyo-Kuala Lumpur flights for breakfast, while arare rice crackers will be served as snacks. Furthermore, all of ANA’s First Class international flights beginning September 1st will have the halal-certified, non-alcoholic 1688 Grand Rose sparkling wine on its menu, while Business and Economy Class passengers will be able to order Sunpu Aoido Shizuoka Green Tea, Japan’s first halal green tea brand. ANA was awarded five stars by SKYTRAX for the third consecutive year in 2015, and is Japan’s largest airline in terms of revenue and number of passengers.